Caracas (Venezuela): Backed by Venezuela’s military, President Nicolas Maduro went on the offensive against an opposition leader who declared himself interim president and his US supporters, setting up a potentially explosive struggle for power in the crisis-plagued South American nation. A defiant Maduro called home all Venezuelan diplomats from the United States and closed its embassy on Thursday, a day after ordering all US diplomats out of Venezuela by the weekend because President Donald Trump had supported the presidential claim of Juan Guaido. Washington has refused to comply, but ordered its non-essential staff to leave the tumultuous country, citing security concerns. The Trump administration says Maduro’s order isn’t legal because the US no longer recognises him as Venezuela’s legitimate leader. Besides the United States, much of the international community rallied behind Guaido, with Canada and numerous Latin American and European countries announcing that they recognised his claim to the presidency. Trump promised to use the “full weight” of US economic and diplomatic power to push for the restoration of Venezuela’s democracy. 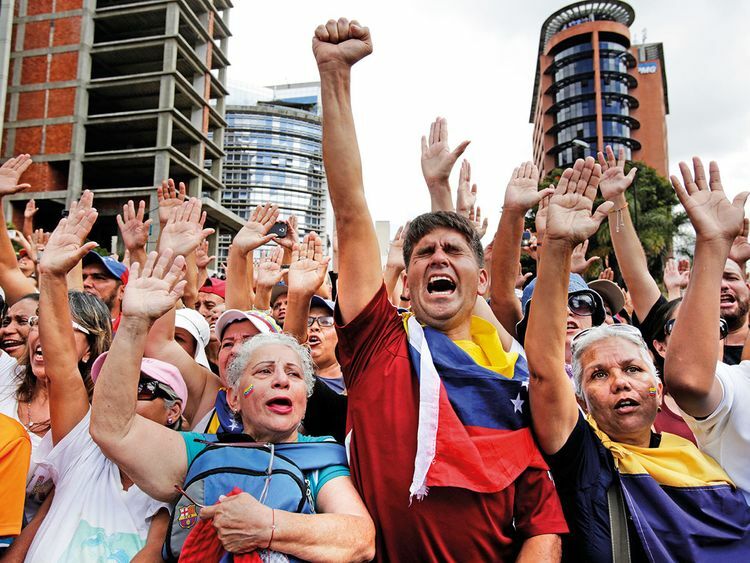 Maduro has been increasingly accused of undemocratic behaviour by his opponents, and has presided over skyrocketing inflation, a collapsing economy and widespread shortages of basic goods. Diplomats at the Organization of American States held an emergency meeting Thursday on the Venezuelan crisis, during which 16 nations recognised Guaido as interim president. Defence Minister Vladimir Padrino Lopez, a key Maduro ally, dismissed efforts to install a “de facto parallel government” as tantamount to a coup. The UN human rights chief is calling for independent investigations into the violence linked to protests.